DON BAASKA: MI VIEJO SAN JUAN--From Puerto Rico with Love vol 2 - Songs by Puerto Rican composers including "En Mi Viejo San Juan". Click on image for info & sound samples. Buy "MI VIEJO SAN JUAN--From Puerto Rico with Love vol 2" at CD Baby! DON BAASKA: COCKTAILS FOR TWO - 33 standards for solo cocktail piano. Click on image for info & sound samples. Buy "DON BAASKA: Cocktails for Two" at CD Baby! BAASKA & SCAVELLI: BAASKA & SCAVELLI LIVE AT PALMAS - A live set by 2 veteran cabaret performers. Click on image for & sound samples. Buy "BAASKA & SCAVELLI live at Palmas" at CD Baby! DON BAASKA: FROM PUERTO RICO WITH LOVE - 12 melodies by Puerto Rican composers styled on piano, bass & Latin percussion. Click on image for info & sound samples. Buy "DON BAASKA: From Puerto Rico with Love" from CD Baby! DON BAASKA: To Jobim with Love - Bossa nova jazz featuring compositions by Antonio Carlos Jobim. Buy "I Love Jobim" at CD Baby! Songs you miss and long to hear---solo piano and Latin jazz interpretations of 12 nostalgic all time favorites that invite you to lay back and smile. 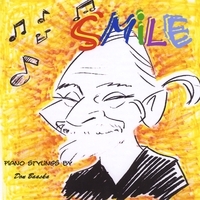 Buy "SMILE" from CD Baby! 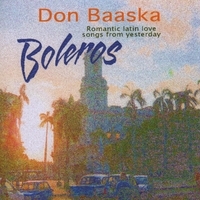 Mis Boleros Favoritos-- latin love songs from yesterday featuring the romantic piano stylings of Don Baaska Y su trio. Buy "BOLEROS" from CD Baby! DON BAASKA: PERFUME DE GARDENIA--From Puerto Rico with Love vol 3 - More songs from Puerto Rico. Click on image for info & sound samples. Buy "PERFUME DE GARDENIA--From Puerto Rico with Love vol 3" at CD Baby! DON BAASKA: DON BAASKA PLAYS RAFAEL HERNANDEZ - Songs by Puerto Rico's best known and most loved composers. Click on image for info & sound samples. Buy Don Baaska Plays Rafael Hernandez on CD Baby! SOUNDS OF THE RAINFOREST: SERENADE OF THE COQUIS - All nature sounds of the Puerto Rican Rainforest at night. Click on image for info & sound sample. Buy "SOUNDS OF THE RAINFOREST: Serenade of the Coquis" at CD Baby! DON BAASKA: DON BAASKA PLAYS SYLVIA REXACH - Romantic Latin piano interpretations by Don Baaska and his trio of songs by one of Puerto Rico's best known composers. Buy "DON BAASKA: DON BAASKA PLAYS SYLVIA REXACH from CD Baby! Retro Latin and Latin jazz from the 60's before they called it Salsa featuring the only recordings by bassist/vocalist Raful Martinez and master percussionist Angel Dueno with Don Baaska at the piano. Buy "DON BAASKA: Recordando El Dorado Beach" at CD Baby! Standards and hit songs in a tropical jazz groove with salsa, merengue, calypso, reggae, Afrocuban, baion and samba rhythms featuring Baaska at the piano. 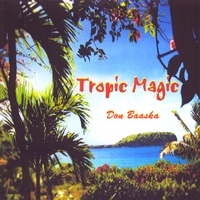 Buy DON BAASKA - TROPIC MAGIC from CD Baby! Buy "In A Mist" at CD Baby! JACK WARREN: JACK WARREN STEEL BAND FROM PUERTO RICO - A real organic down island steel band. Click on image for info & sound samples. Buy "Jack Warren Steel Band from Puerto Rico" at CD Baby! DON BAASKA: THE COLONEL - Latin Jazz standards. Click on image for info & sound samples. Buy "DON BAASKA: The Colonel" at CD Baby! DON BAASKA Tropic Magic - Standards & jazz classics with a Caribbean Beat. Buy "DON BAASKA: Anegada" at CD Baby! DON BAASKA: NEPTUNE'S TREASURE - Sounds of theCaribbean. Click on image for info & sound samples. Buy "Neptune's Treasure" at CD Baby! VALLI SCAVELLI: SOMETHING COOL - Sultry jazz vocals. Click on image for info & sound samples. Buy "VALLI SCAVELLI: Something Cool" at CD Baby! VALLI SCAVELLI: VALLI SCAVELLI SINGS BESSIE SMITH - 12 songs made famous by the Empress of the Blues. Click on image for info & sound samples. Buy "VALLI SCAVELLI: Valli Scavelli sings Bessie Smith" at CD Baby! BAASKA & SCAVELLI: LIVE AT THE WESTIN RIO MAR BEACH - Live performance of standards by two veteran lounge entertainers having a good time with the audience. Buy Baaska & Scavelli: Live at the Westin Rio Mar Beach from CD Baby! BAASKA & SCAVELLI: Happy Hour - Zany originals, fractured standards and bar room comedy plus some great singing and piano playing by the Dangerous Duo. Buy "Happy Hour" at CD Baby! "BAASKA & SCAVELLI: Some Other Time - great voice and a veteran keyboard player/song writer combine to bring you 12 uniquely original songs ranging from the quirky "
Buy "Some Other Time" at CD Baby! BAASKA & SCAVELLI: PLANET OF THE SEVEN MOONS - Baaska & Scavelli become Space cadets on this one. Click on image for info & sound samples. Buy "BAASKA & SCAVELLI: Planet of the seven moons" at CD Baby! BAASKA & SCAVELLI: GET OFF THE GROUND. - Both the 9 minute and the shorter version of the jazz club classic on this CD. Click on image for info & sound samples. Buy "Get off the Ground" at CD Baby!